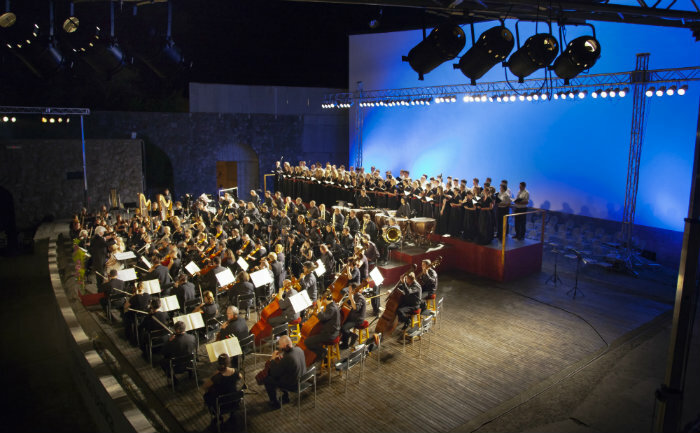 During the festival, choral concerts are held in the splendorous Big Hall at Postojna Cave. The performances will be continuous so your choir will be singing as part of an international concert on the day you perform. The big Hall is almost 40 m higt and can hold 10000 people. The echo is very strong and last 6 seconds. 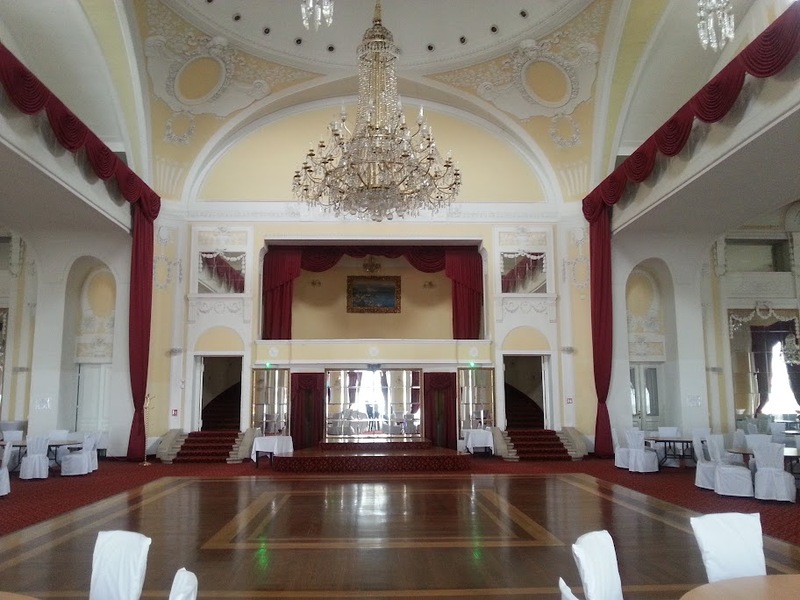 This is Opatija's most celebrated, oldest and most elegant hall, the venue of the most prestigious events in town. There are impressive crystal chandeliers, richly decorated walls, fine ornaments on the façades, and large windows with a view of the hotel's fantastic terrace and the blue sea. The Crystal Hall is synonymous with elegance and finesse. It is part of the Hotel Kvarner, Opatija's first hotel, located right by the sea, in the immediate vicinity of some of the town's most famous landmarks: the church and park of St. Jacob's, and the Villa Angiolina with its park. St. Jacob's Church was built in the early 15th century as a colony for the Benedictine monks. This abbey is the origin for Opatija's name. "Abbey" translates to "Opatija" in Croatian. However, very little has remained of its original appearance, as it was adapted in 1506, renovated at the end of the 18th century and expanded in the 1930s. A copy of the relief “Pieta” by the esteemed Croatian sculptor Ivan Meštrović, depicting the dying Christ with his mother Mary and Mary Magdalene, is held in the church. Program: Sacred | 4 hours 30 minutes. This concert is a caroling-type of opportunity for the choir – it is outdoors, normally without amplification, and must be a cappella. There are several sites that Opatija uses for the outdoor singing including the Villa Angiolina stairs and those in the pedestrian zone in the city center. The Open Air Theatre is situated on the green "peninsula" of the well-known Opatija’s “Angiolina Park”, right by the sea. This unique location and its ambiance created by the combination of stone walls and greenery make it the most spectacular and the most beautiful venue of this kind in the Mediterranean. The main stage area can seat 2500, or alternatively offer 5000 standing places, and with the stage of 21x12 meters it is an ideal spot for all kinds of performances, be it music, play or combined art forms, from the classical opera, operetta, ballet and musicals, across contemporary jazz, pop, and rock concerts to many other social happenings of various kinds. The small stage area can seat 600 and with its stage that measures 10x10 meters, apart from being the "little big stage", it gives the audience a much more intimate feeling with a bigger cohesion and interaction among those present. The location where the Open Air Theatre stands today was originally intended for a much more ambitious project at the beginning of the 20th century - a multipurpose health resort palace (Kurpalast), for which there was a public tender inviting for architectural bids in 1911. The architects Marcel Kammerer, Otto Schöntha l and Emil Hoppe drafted a blueprint of a palace with ballrooms for balls and concerts, swimming pool with artificial waves, shops and cafés. 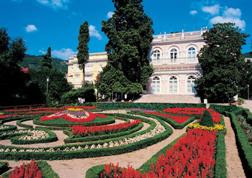 Unfortunately, the onset of the World War I disrupted this splendid development of Opatija. After the war was over, by the Treaty of Rapallo from 1920, Istria - with Opatija included - came under the Italian rule and instead of a health resort palace, the Open Air Theatre was built. It obtained its present form according to the project by the famous Croatian architect, Neven Šegvić, in 1957. Since then, it has been hosting operas, ballets, symphony orchestras, folk-dance performances, concerts and plays. 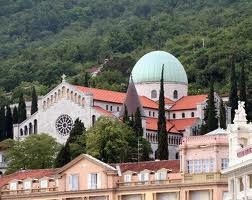 As early as 1906 the bishop of Trieste, Franjo Nagl, laid the foundation stone for the neo-Romanesque edifice with its pronounced green cupola that can be seen from afar, but once again the departure of Austria postponed the completion of the building that was designed by architect Karl Seidl. The Easter Sing performances take place in the stunningly beautiful Romanesque church, where choirs sing as part of an international concert on Saturday afternoon.